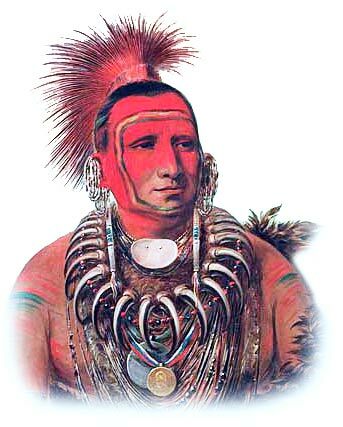 The coming of the European settlers to North America brought about many changes and conflicts. The Stone Age History of the Native Americans was far behind that of the Europeans. They had no knowledge of metal, their weapons were made of stone, they had no knowledge of the wheel and had never seen a horse. The Europeans were looking to settle in the New World but they were dependant on the Native Indians to help them to survive and find their way across the vast territory. They needed a form of communication that needed no words - the Native American sign language was born. The advent of the horse led many Native Indian tribes to migrate to regions such as the Great Plains where they could adopt the buffalo hunting lifestyle. The different tribes also had a need to communicate with each other. The Sign Language of the Great Plains Indians is one of the first known sign language systems of North America. The migration of many tribes to the Great Plains of the North in the 1700's led to the Indian Horse Culture. The Ute, Comanche, Kiowa, Apache, Pawnee, Cheyenne, Sioux. Crow, Shoshone, Mandan, Flathead, Nez Perce and Cree tribes had all acquired the horse and had become highly skilled horsemen and began to move or migrate onto the Great Plains, fully embracing the hunter-gatherer life style of the Great Plains region. The system of using hand signals and sign language was developed to facilitate communication between all of the different tribes and also to facilitate trade with the European trappers and traders. Many Native Indians also served as guides in the early exploration of North America and later acted as scouts for the U.S. Army. A basic level of communication was a vital requirement. Sign language is considered to be one of the earliest and most comprehensive forms of communication in the world. Facial expressions, hand shapes, positions and movements of the hands, arms and body are used as a form of non-verbal communication to express words, feelings and ideas. This concept was used as a basis for the development of Native American Sign Language. In many instances the signs look like pictures drawn with the hands. When first using sign language it was only possible to communicate on a few subjects, and many of the gestures used a instinctive. But over time number of gestures increase and the general scope of expression becomes wider. As tribes came into closer contact they started to use the Native American sign language more frequently and this led to a measure of uniformity of signs. There were signs for the various Indian tribes that were communicated by sign language. The following signs used in Native American sign language reflected some striking characteristic of the tribe named. Down: Point downwards with right index finger. Up: Point upwards with right index finger.